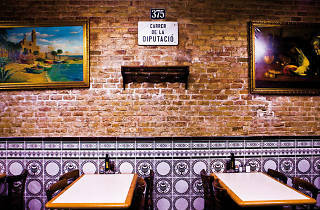 This popular restaurant epitomises, as few do, the midday meal, with relaxed conversations where those who work in the area recharge their batteries to go back to the grind in the afternoon or those who have more free time drink wine from a 'porró' while reading the paper, helping to swallow the news that bit more easily. The whole menu is written on a blackboard. There's quite a variety as well, including starters like a sound gazpacho, 'fideuá' (similar to paella but with cut noodles instead of rice), steamed artichokes and an authentic Cuban-style rice (with egg and tomato sauce); and mains that feature well-crafted hearty and traditional dishes, such oven-baked pork cheeks, escalope with balsamic vinegar, duck magret, cod with tomato, fried red mullet, and Navarran trout. You always get fresh fish and lean meat. When it comes to dessert, check the board again and choose from a selection of flans, goat's cheese yogurt with honey, or 'músico' (usually dried fruit and nuts). These are all traditional dishes that you've got to memorise before you head back to your table. 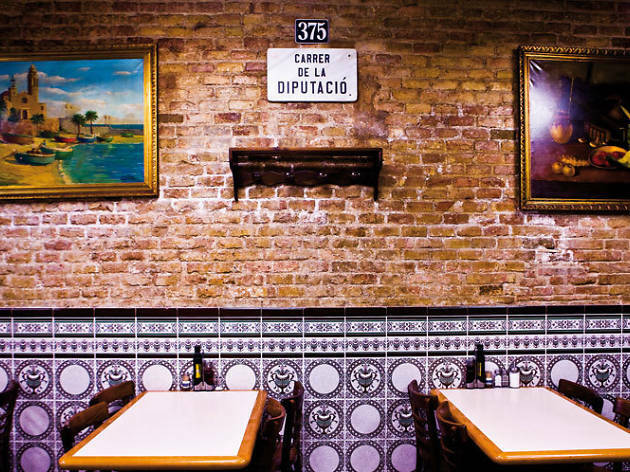 By the way, expect a wait when you go, as Portolés diners are faithful, and they know that the women of the family in the kitchen have been cooking these dishes to perfection for years. I chose a dish of 'callos' (tripe) with chickpeas – juicy and light – and meaty sardines grilled with just the right amount of garlic and parsley. For dessert I couldn't resist the coconut flan. It's home-made, as big as a rising sun, and the perfect epilogue to the meal.